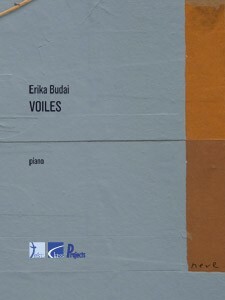 This composition for piano solo was written by Erika Budai as a compulsory piece for the National Piano Competition "Excellentia" for young and talented pianists, that took place in Linkebeek (Brussels, Belgium) in February 2004. The piano work shows a perfect harmony between technical velocity and a French neo-impressionistic music style. The high technical and artistic level, asked by the organization, allowed the young pianists ending up to be finalist of this national competition, to profile themselves in several ways.